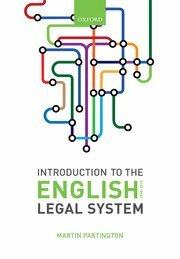 In this podcast, Sir Robert reflects on the development of the Tribunals System over the first three years of its existence and looks forward to future changes that will come on stream in the months ahead – including merger of the Courts Service and the Tribunals Service, the expansion of the Tribunals system and new opportunities for Tribunal Judges. 2 Sentencing policy – will the plans outlined by the Lord Chancellor survive political pressures within the Government? 3 Legal aid – what will remain of legal aid, particularly civil legal aid and how will legal services to the poor actually be delivered? I will try to keep you up to date in the blog. Meantime, have a very happy New Year! In this podcast I talk to Mike Napier about his work as pro bono envoy. He discusses the importance of lawyers offering pro bono services, from the time they start studying at university through to their work in practice.